Invest in a mechanical keyboard, and you can expect it to last for years to come. However, even though the cost of basic models has fallen, they're still a pretty hefty investment for most people, and if you're shopping on a budget then it may be difficult to justify putting cash towards your peripherals over your core system hardware. Unfortunately for such buyers, which may include many young gamers, peripheral manufacturers are typically focussed on higher priced mechanical offerings. Cooler Master's newest release, however, specifically targets those with less disposable income to hand. The MasterKeys Lite L Combo RGB comprises a gaming-grade 'mem-chanical' keyboard and an optical gaming mouse, both with RGB lighting, for just £50 – that's certainly enough to warrant a closer look. 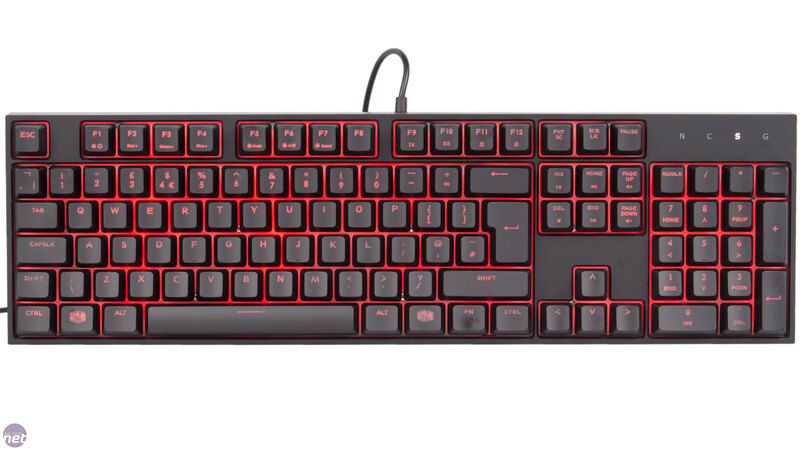 We'll start with the keyboard, where the highlight feature is of course the so-called 'mem-chanical' switches, which are exclusive to Cooler Master. You'll get no prizes for guessing what they are – essentially an attempt to introduce some of the crispness, tactility and durability of mechanical switches into what is ultimately a membrane switch. 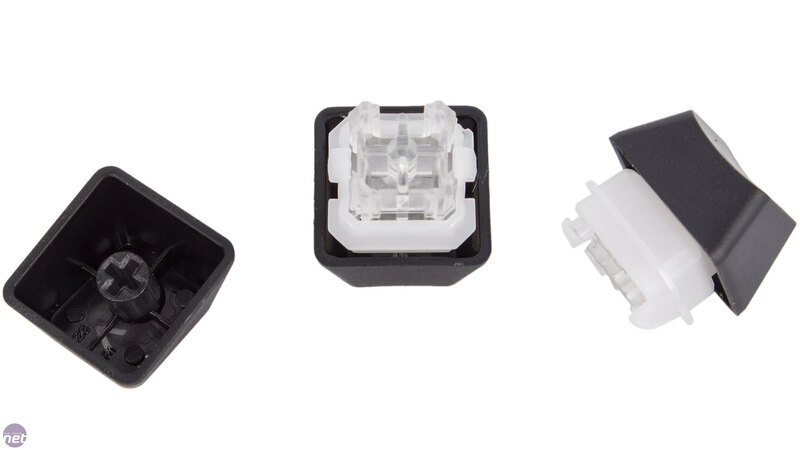 The long plunger has a cross-shaped attachment mechanism, making the keyboard compatible with all standard Cherry MX keycaps. 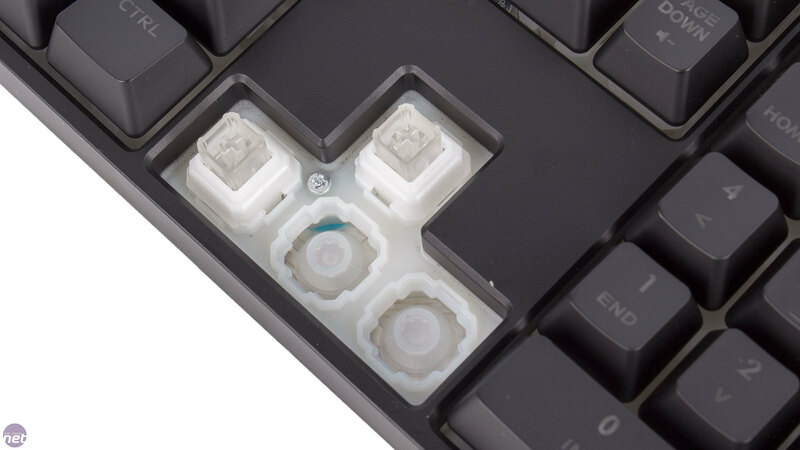 There's also a square-shaped part to the plunger which helps to support the keycaps and prevent them from feeling too wobbly. The stem is transparent too, allowing the RGB lighting to shine through it as best as possible. Ultimately, at their foundation, the switches are membrane models, with the plunger pushing on a dome to complete the circuit, which gives the switches tactile feedback. 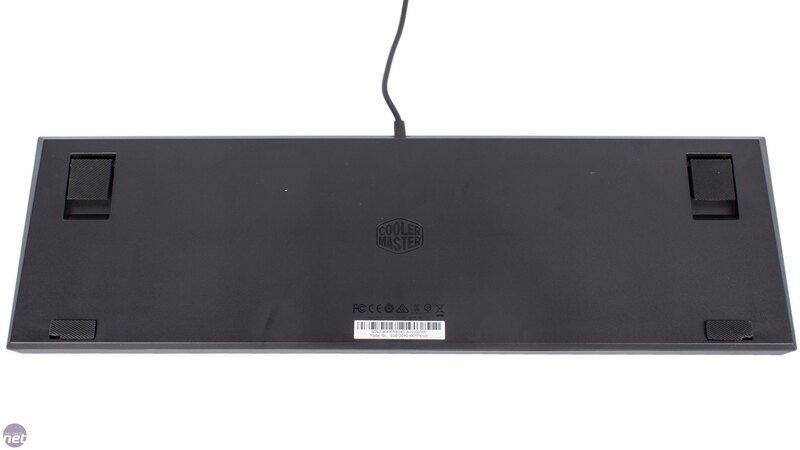 Cooler Master says its mem-chanical switches have a 50g actuation force and offer double the life cycle of regular membrane switches (12 million presses compared to six million). Of course, the key question is how do they feel to type on? The answer, mostly, is not bad. You can certainly still feel the membrane foundation, with a slight sponginess at the bottom of the action, but it's an improvement over regular membrane switches. The fact that you're typing on Cherry MX style keycaps with a similar amount of travel and actuation force to actual mechanical switches helps the illusion, and the tactility offered is a decent enough imitation given the cost. We also liked the stability of the keycaps – they certainly don't feel too wobbly. However, the accuracy of the switches cannot compete with true Cherry MX Browns, for example. Through deliberately light presses it's possible to push through the tactile bump on these switches without triggering the key – the actual actuation point is a little further down and requires a bit more force. In regular use, where you naturally use a bit more force than necessary anyway, this was never an issue, but it does introduce at least the risk of a missed press, although this is true of regular membrane keyboards too. In terms of noise levels, the keyboard is noisier than most membrane boards but a little subdued compared to a proper mechanical one. 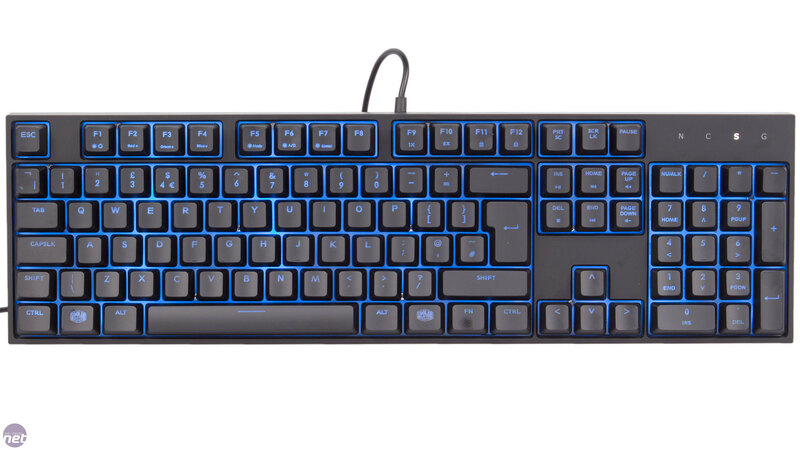 The keyboard's RGB lighting isn't per-key, instead being divided into several zones. The FN key coupled with F1-F7 gives you full control of the effects and colours without the need for software – F1 cycles pre-set colours, F2-F4 allow you to program a custom colour by altering the RGB channels through five levels, F5 changes the lighting mode and F6 and F7 control the direction and speed of the various effects respectively. The quality of the lighting is acceptable but not outstanding – it's a bit brighter in some areas than others, and from a typical viewing angle, some of the characters only appear partially lit, which particularly affects keys in the uppermost rows. Still, it's a solid attempt and the reflective internal plate and clear switch plungers do help it be a bit more even than it otherwise would be. Other hardware controls include repeat rate adjustment, which can be toggled between 1x and 8x with FN and F9/F10. F11, meanwhile, will lock all the keys on the keyboard, at which point the G indicator in the top right goes red, and F12 is a more traditional gaming mode that locks only the Windows key and causes the G indicator to go blue. 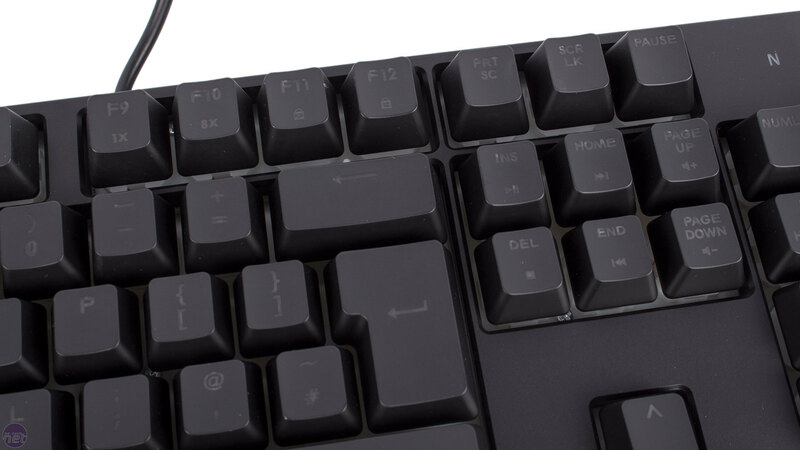 The six keys clustered above the arrow keys offer media and volume control, again via the FN key. Cooler Master has kept the dimensions compact and the aesthetics clean here, which should help to widen the product's appeal. Build quality is decent too – the keyboard has a metal plate inside and weighs almost 1kg. It's still easier to flex than most mechanical keyboards, but not by enough to be a concern, and the matt plastic top cover is good at resisting fingerprints as well. It's even splash-resistant thanks to a nanofilm coating. 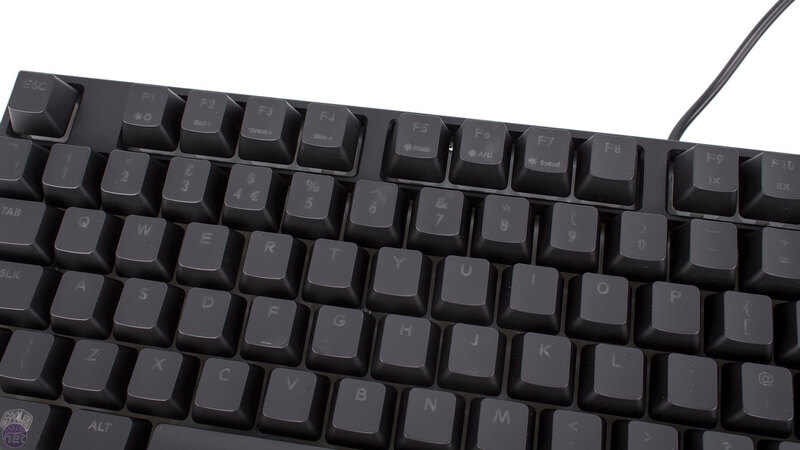 One area of weakness, however, is the non-detachable, thin, 1.8m rubber cable – the connection where it meets the keyboard should be stronger than it is. The keyboard is only rated for 125Hz polling – 1,000Hz is the standard these days, although we can't say we noticed a difference, even in fast-paced shooters. It also claims to offer up to 26-key anti-ghosting, but the key words there are 'up to'. We found that most key combinations should work, especially around the typical gaming keys, but it's not guaranteed – pressing A, S and 4, together, for example, was enough to observe ghosting, and this is a feasible in-game combination. We think, therefore, that this area needs some touching up.